Below you fill find all funeral homes and cemeteries in or near Edgewater. Suburbs of Edgewater: Beverley Bch, Edgewater Bch, Woodland Bch. Zip codes in the city: 21037. Edgewater is a census-designated place (CDP) in Anne Arundel County, Maryland, United States. The population was 9,023 at the 2010 census. It was reported on January 21st, 2019 that Betty Jane Shields (Vest) passed on in Edgewater, Maryland. Ms. Shields was 82 years old and was born in Roanoke, VA. Send flowers to express your sorrow and honor Betty Jane's life. It was reported on June 28th, 2018 that Timothy Richard Cannon passed on in Johnson City, Tennessee. Cannon was 53 years old and was born in Edgewater, MD. Send flowers to express your sympathy and honor Timothy Richard's life. It was disclosed on October 28th, 2016 that Debora Ann Sampson (Graves) passed on in Edgewater, Maryland. Ms. Sampson was 67 years old and was born in Cincinnati, OH. Send flowers to share your condolences and honor Debora Ann's life. It was noted on December 6th, 2014 that Carrie E Portlock (Cousins) passed on in Edgewater, Maryland. Ms. Portlock was 36 years old. Send flowers to express your sorrow and honor Carrie E's life. It was revealed on March 30th, 2014 that Abraham S "Brownie" Brown died in Edgewater, Maryland. Brown was 88 years old and was born in Homestead, PA. Send flowers to express your sympathy and honor Abraham S "Brownie"'s life. It was disclosed on February 12th, 2014 that Margaret Joan "Margie" Casey (Casey) died in Edgewater, Maryland. Ms. Casey was 72 years old and was born in Johnstown, PA. Send flowers to share your condolences and honor Margaret Joan "Margie"'s life. It was reported on January 14th, 2014 that Sandra "Sandy" Hester (Smith) died in Edgewater, Maryland. Ms. Hester was 65 years old and was born in Weston, WV. Send flowers to express your sympathy and honor Sandra "Sandy"'s life. It was written on October 19th, 2013 that Betty Louise Zimmerman perished in Edgewater, Maryland. Zimmerman was 90 years old. Send flowers to express your sorrow and honor Betty Louise's life. It was disclosed on July 28th, 2013 that Ada Mogayzel (Sciotti) perished in Edgewater, Maryland. Ms. Mogayzel was 92 years old and was born in Providence, RI. Send flowers to express your sympathy and honor Ada's life. It was noted on April 18th, 2013 that Patricia Christie passed away in Edgewater, Maryland. Christie was 86 years old. Send flowers to share your condolences and honor Patricia's life. The population was 3,153 at the United States Census, 2000 census. Its beach was formerly a popular weekend resort. 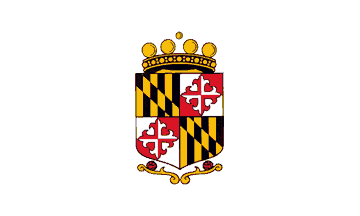 Mayo is a census-designated place (CDP) in Anne Arundel County, Maryland Arundel County, Maryland, United States. . . Listing all funeral homes in Edgewater, Maryland so you can easily send flowers to any location (same day delivery) or find any funeral service. Find crematories & Crematories in Edgewater, MD. Read business reviews, find driving directions, and more. crematories on YP.COM. We work with local florists and flower shops to offer same day delivery. You will find budget sympathy flowers in Edgewater here. Our funeral flowers are cheap in price but not in value.